Stop on by, check out my micro-shelter/sleeper cabin "The GottaGottaWay"- and say hello....many other cool exhibitors too! 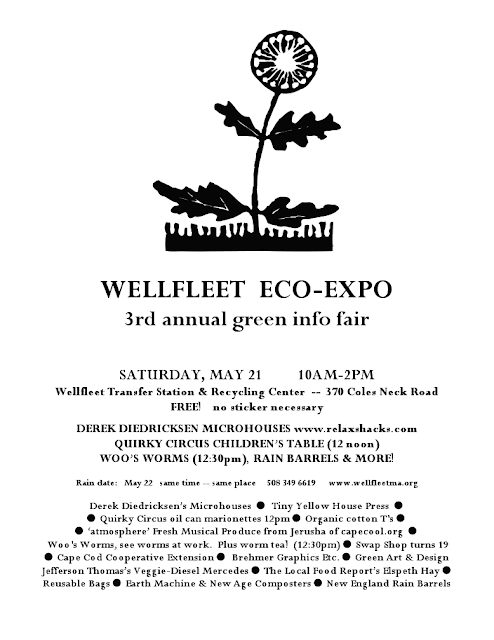 I'll also have some recycled-material art, and repurposed/rebuilt/funky furniture pieces on hand for display- and purchase. The cabin itself is for sale too- $1200- all of which will go towards shooting more episodes of our show "Tiny Yellow House". One of its upcoming episodes for Make Magazine is about THIS very cabin.... (photo is below- kidcedar at gmail dot com for inquiries)- we'll deliver it that same weekend after the display (on the Cape). Oh yeah- Its FREE!!!! Bring the kids! 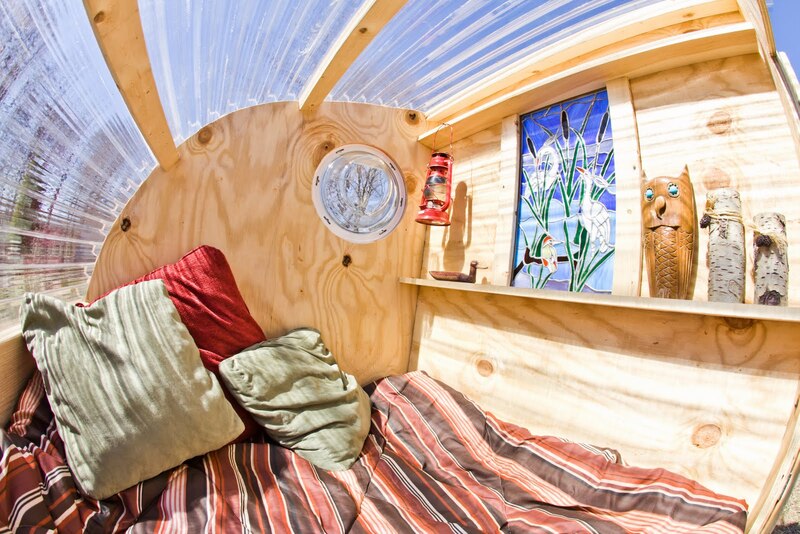 Interior of "The GottaGiddaWay" Micro-Garden Shelter. 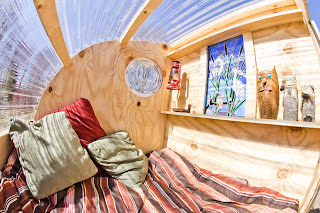 Its a homeless cabin prototype, that can double as a really funky chicken coop, a greenhouse or coldframe, or a tiny escape pod/micro-office. For sale- $1200- proceeds to go to shooting more of our educational videos, and towards building more experimentally designed tiny houses. Photo by Bruce Bettis. Built and Designed by Derek "Deek" Diedricksen.